Sponsored by North Hawai’i Rotary as a fundraiser to support many community projects, it will include onolicious foods, beer, costume contests, a silent auction benefiting Waimea Country School, music, dancing including the famous Chicken Dance, and LOTS of fun. Contact your local North Hawai’i Rotary member for more information on tickets. SAVE THE DATE! SEPTEMBER 23, 2017 for PANIOLO PRESERVATION SOCIETY’S GALA DINNER AND FUNDRAISER! The Paniolo Heritage Center at Pukalani Stables is Closed on July 4th in Observance of Independence Day. 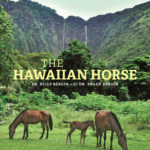 Friday, Nov. 25, from 5:00 pm to 8:00 – a PPS sponsored event for “Cowboy Kaona,” a new photography book of Hawaii cowboys by Leilani S. Hino. It’s a Halloween Party at the Kamuela Farmers Market, Saturday, Oct. 29th, 7:00am to Noon. Friday Oct. 21 – It’s North Hawaii Rotary’s Oktoberfest at Pukalani Stables.